The Chewelah 1 Course at Chewelah Golf & Country Club is an 18-hole regulation length golf course in Chewelah, Washington. This medium-length layout features 4 sets of teeboxes for the enjoyment of golfers of all skill levels. 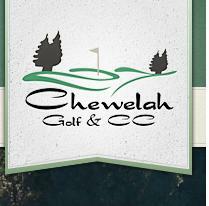 There is another course on this same property, the Chewelah 2 Course. Online tee times may be available at Chewelah Golf & Country Club or at nearby golf courses, usually offered at a discount from the normal rate. Note: The data about these courses is typically right, but in some cases there may be errors. If you come upon something that ought to be updated, please get ahold of us about it. Beneath this text, aerial imagery should load of Chewelah Golf & Country Club at 2537 Sand Canyon Rd, Chewelah, WA 99109. If you can't find the course, try panning around and looking at the surrounding area. Tee times available now in almost all 50 states and most provinces in Canada...including Las Vegas, Arizona, California, Florida, Hawaii, Chicago, Denver, DC, Oklahoma, Oregon, Tennessee, Texas, Virginia, Wisconsin and more!